Just over one year ago, billionaire eBay cofounder Pierre Omidyar issued one of the most dramatic announcements America’s beleaguered journalists had experienced in their lifetimes. After decades of closing newspapers, shrinking newsrooms, vanishing foreign bureaus and the near extinction of investigative reporting due to brutal, relentless budget-cutting, Omidyar would endow a new company, First Look Media, with a staggeringly large sum of cash – $250 million – to be deployed in the service of a breathtakingly ambitious attempt to reinvent advocacy journalism in everything from investigations of financial corruption to sports coverage. 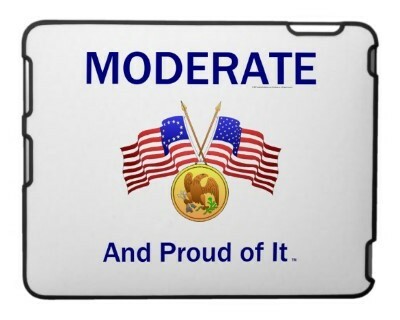 Even better, from the standpoint of progressives living in the political wilderness since the rise and fall of George McGovern, First Look Media would be edited by leftist pundits and advocacy journalists like the legal columnist Glenn Greenwald, to whom former NSA contractor Edward Snowden leaked more than a million classified US government documents, the documentarian Laura Poitras, also involved intimately in the Snowdon saga, and the respected anti-militarism critic Jeremy Scahill. As some cynics opined, it all sounded too good to be true. (Disclosure: for just shy of a month earlier this year, I worked for Pando Daily.) Why would a billionaire like Omidyar bankroll a bunch of antiestablishment types like the financial reporter Matt Taibbi – hired away from Rolling Stone – whose mission in life is in large part to undermine global capitalism? Although it’s too soon to declare First Look dead and gone, and Omidyar claims to be as committed to his utopian company as ever, things have gone from bad to worse over the last year. Omidyar’s $250 million pledge shrunk to $50 million. The mission to fund hard-hitting journalism and commentary was recast as, among other things, possibly a “platform” expected to generate significant revenue. Tales of shrinking budgets, diminished expectations, shrinking ambitions and staffers leaving after complaining of managerial incompetence appeared with increasing frequency in the trade press. From the outside, it quickly became clear that First Look was less than a well-oiled machine, or even a reasonably functional journalistic startup. 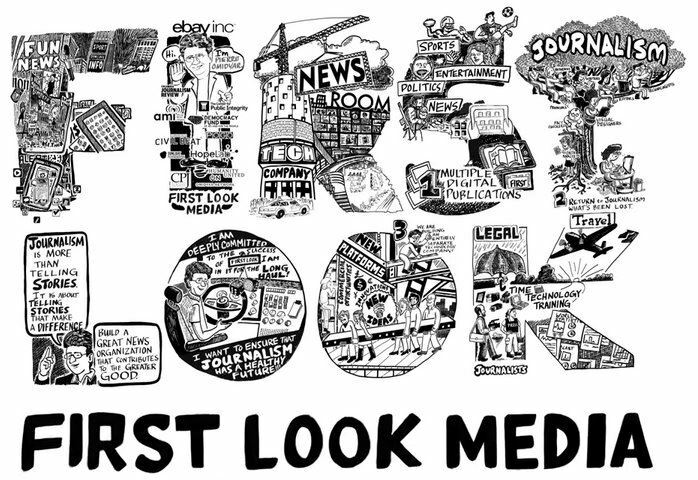 Fellow writers and cartoonists who responded to First Look’s repeated calls for resumes (disclosure: I was one of them) described treatment ranging from unprofessional snubbing of award-winning pros to outright rude, such as going silent after asking them to come in for an interview. Even more damning was the company’s egregious violation of Jeff Bezos’ axiom: always underpromise and overdeliver. One year after declaring itself a left-wing media monolith to rival Rupert Murdoch’s NewsCorp, all First Look has to show for itself is a crappy WordPress blog with less basic functionality than many private individuals feature on their personal cat-photo websites. Updates have been scattershot and infrequent. Coverage has been anything but wide-ranging. And the journalists gone wild implied by Omidyar’s original big splash either never got hired or, if they did, never saw print. Where, everyone wanted to know, did the $250 million go? A couple of months ago, a First Look staffer emailed me to find out how much it would cost to run my syndicated cartoons. When they got the quote – which was lower than much larger websites pay, certainly we’re not talking about websites backed by a quarter billion dollars – they said they wouldn’t be able to afford cartoons. I’m paraphrasing here, but not by much: we were under the impression, the staffer replied, that cartoon content is cheap. Aside from the terrible politics – if a billionaire can’t pay decent prices for content, who can? – I began to wonder whether Omidyar was starving First Look. Media outlets, understandably interested in an experiment that, if successful, might have led to a new model for public interest and advocacy journalism in the digital age, have speculated and reported obsessively on last week’s departure of Taibbi, hired to run what was going to be First Look’s second “magazine,” or “vertical,” in industry vernacular, after The Intercept, where Greenwald writes about the Snowden revelations. As always, when there’s a disaster there are numerous causes. But all of the coverage I’ve read so far has missed the biggest flaw of all in First Look’s business model: the fact that Pierre Omidyar kept, and is still keeping, tight control of the purse strings. It amazes me that people as savvy as First Look’s top editors didn’t insist, before leaving respectable publications like the UK Guardian and Rolling Stone for a start-up, that Omidyar put the $250 million (or $50 million, or single-digit millions now) in escrow, or at least under the control of a group of trustees of whom Omidyar would be just one, and would include top editorial staff like Greenwald. I met with a high-level First Look official during the summer to discuss the possibility of working together. I asked: “Where’s the $250 million?” He didn’t know. He couldn’t say. A structure that allowed Omidyar complete control of the company’s finances was bound to put a crimp on editorial independence, which was apparently the main reason Taibbi left. Who wants to be a billionaire’s plaything? No matter how well the job pays, it only ends badly. Given Omidyar’s reported authoritarian control freak personality, which apparently even extends to personally signing off on – and denying – taxi receipts, it seems even more insane to take a job leaving him in complete charge of the money. I wasn’t there (though I would’ve loved to have been), but this looks to me like a group of writers working in a profession that had been mistreated for so long that they were exceptionally vulnerable to the seduction of a smooth-talking charmer who passed himself off as an angel investor in the future of liberalism and journalism. Of course, this might all work out in the end. I hope it does. Hell, Greenwald is supposedly going to meet his boss Omidyar in person for the very first time. Better a year late than never. This entry was posted in Blog, Columns and tagged First Look Media, Glenn Greenwald, Jeremy Scahill, journalism, Laura Poitras, Matt Taibbi, Pando Daily, Pierre Omidyar, reporting on November 4, 2014 by Ted Rall. This entry was posted in Blog and tagged Barak Obama, Cole Smithey, Edward Snowden, Glenn Greenwald, Laura Poitras, NSA, Smart New Media on October 28, 2014 by Ted Rall.